There are several considerations which are involved when you build a new home in the County, particularly in one of the rural areas. HST applies to some rural land sales and not others and can provide an unpleasant surprise for unsuspecting land buyers. The rules determining whether the 13 % HST applies to a sale of rural land are complex and require the advice of a lawyer or accountant. The limestone which underlies the County makes for great vineyards, but presents some issues for home construction. The soil is shallow in many parts of the County and excavating bedrock is expensive which is why you will see so many raised bungalows, side-spits and other designs which required only a shallow excavation for the lower level. Before a building permit will be issued, the County requires proof that there is a well on the property which can produce a minimum of 3 gallons per minute. There are areas of the County with good water supplies, but there are also areas where finding an adequate supply of water may require drilling more than one well. Nowadays the records for all the wells in the province are available online. Rural homes also require a septic system to treat household wastewater. In many parts of the County, the fact that bedrock is close to the surface means that suitable soil must be trucked in to create a raised bed. If you see a home in the County with a large raised area adjacent to it, chances are it is a built-up septic field. In Prince Edward County (and much of rural Ontario) Minimum Distance Separation rules specify the minimum distance that’s allowed between a livestock facility and a new residence. Depending on the type and number of livestock, the “no build zone” can extend a thousand feet or more from a livestock barn. When looking at rural land, it’s important to check whether there are any livestock barns in the immediate area. If so, the County’s planning department can advise whether there will be any building restrictions on the property you are considering. 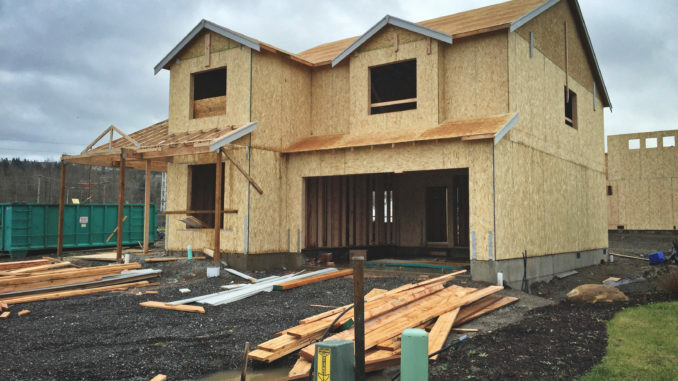 Building a new home well back from the road may enhance privacy, but it comes at a cost. If Hydro One needs to install a pole to service a home, the cost to the owner is on the order of $10,000 per pole. Quite apart from initial costs, long drives mean more maintenance, including time behind the wheel of a snow blower in the winter.